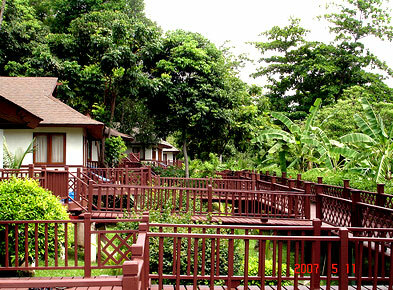 Holiday Inn Resort is indeed an excellent getaway for a peaceful and quiet holiday. Having a water front and garden setting along the coast of the Phi Phi Don Island, Holiday Inn Resort with its unique design has achieved an award from the Architectural Society of Thailand. The deluxe cottages offer much space and an exquisite luxury experience for the traveller to enjoy.